First, one of the best qualities to look for is someone who already has a fair amount of landscape experience. You want to choose someone who has been in the business for awhile, who has a decent amount of successful projects under their belt and who has a vast amount of knowledge and expertise in their field. Make sure their career focus is in residential landscaping as well, not in other commercial sectors that don’t apply to your situation. Round up any recommendations from friends or family members that you can, as this gives you greater insight into their work ethic and job performance, too. Second, when you’re looking for landscape architects, don’t settle on the first one you come across. Invite multiple designers over to your property and have them help you determine exactly what type of architect you’re looking for and what kind of estimates you’re looking at with your intended project. Knowing these important factors ahead of time can narrow down your prospective leads and help steer you towards the right person for the job. Major home projects are rarely going to be easy from start to finish, but having the right people to help you along the way is necessary. 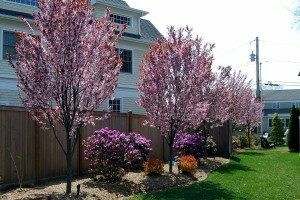 When you’re intent on upgrading your outdoor living space, follow these tips on how to choose proper landscape architects for your residential yard.